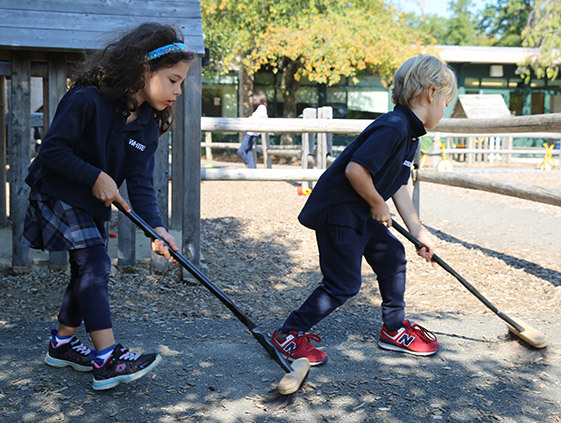 Children develop independence, a sense of order, concentration and coordination through small and large motor activities, grace and courtesy, and care of the self and the environment. These concepts are explored using spoons, tweezers and tongs, serving friends a snack, helping others, tidying the classroom and arranging flowers. Children explore using their five senses. They learn to sort, grade and match by size, color and shape. They match and grade pitches and rhythms, taste differences in foods and match and compare scents, temperatures, weights and textures. 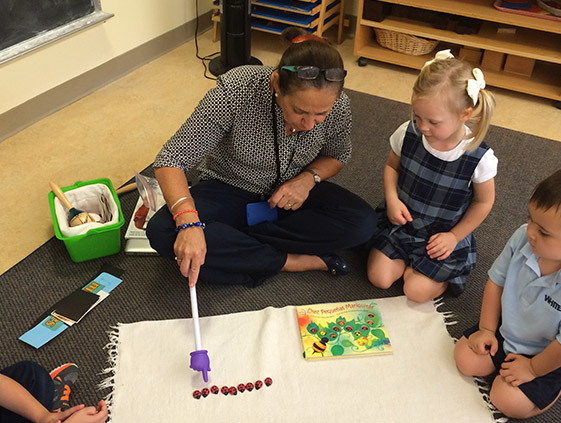 Children use concrete materials to develop a variety of math concepts such as 1:1 correspondence, quantity and symbol recognition, operations, decimal system, geometry, skip counting, money, time, fractions and measurement. 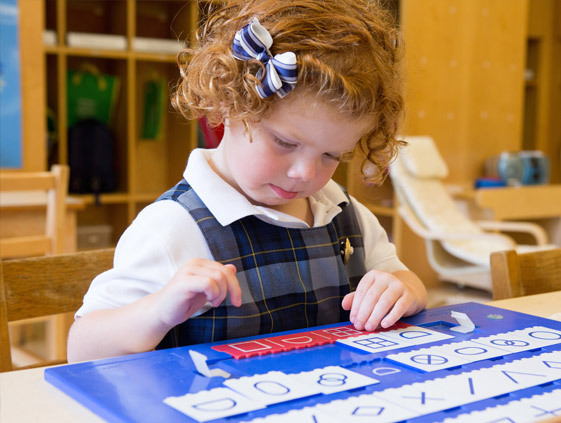 As the concepts are mastered, children are able to work more abstractly and solve more complex equations. 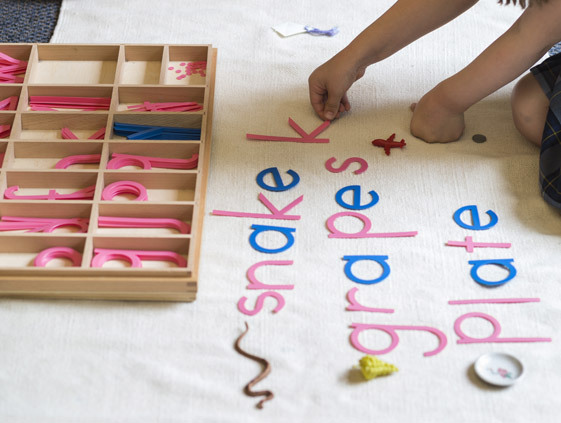 Children communicate, read and write by developing phonemic awareness, encoding and decoding words and sentences, recognizing sight words, using comprehension skills, making predictions and connections in a story, practicing handwriting skills and presenting published work. Children choose “just right” books for independent reading. 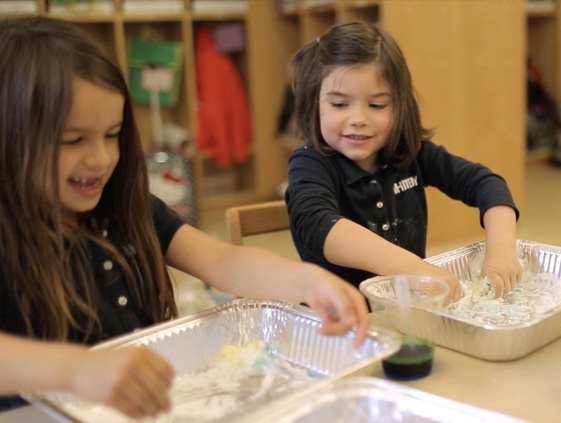 Our young scientists use inquiry as a base to experiment, predict, compare, graph, survey, tally and chart results in physical, life and earth sciences. Children discover the larger world through the family traditions and cultures within their classes and extend their awareness to universal social and geographical concepts. Children explore Spanish and Chinese through oral and written language, as well as music and art.